Below you can view all the homes for sale in the Nelson Ranch subdivision located in North Las Vegas Nevada. 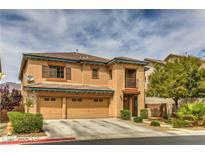 Listings in Nelson Ranch are updated daily from data we receive from the Las Vegas multiple listing service. To learn more about any of these homes or to receive custom notifications when a new property is listed for sale in Nelson Ranch, give us a call at 702-323-5963. Community: Pool & spa, work out room, clubhouse, parks, playgrounds & gated. A real must see! ! MLS#2087602. Urban Nest Realty. Community: Gated, 24 hr roaming security, pool, spa, workout room, clubhouse, parks w/play grounds, pet parks. Oasis in the desert! MLS#2087587. Urban Nest Realty. Community parks, pool and splash pad. MLS#2085922. Keller Williams Realty Las Vegas. Private yard w/mature landscape & solar heated pool MLS#2083475. Simply Vegas. Enjoy The Community Pool, Park & Mountain Views! MLS#2083439. Huntington & Ellis, A Real Est. Don't miss out on this incredible home! MLS#2081564. Urban Nest Realty. The home has tall vaulted ceilings, open concept, and emphasizes indoor/outdoor living. MLS#2081164. Urban Nest Realty. Community Pool, Playground and fitness center. MLS#2077125. Century 21 Americana. Original owners-Pride of ownership! Don't miss out! MLS#2074845. Urban Nest Realty. please see agent to agent remarks for gate access. MLS#2074129. LIFE Realty District. There is also a clubhouse with community pool available! MLS#2069828. Coldwell Banker Premier. This home’s highlights include, new interior paint, no rear neighbor, a modest courtyard for additional privacy, an open floor plan, and a great covered patio & backyard perfect for entertaining. FRESH PAINT! MLS#2065542. Coldwell Banker Premier. The community pool, park, gym, clubhouse, and trails are part of the Waterfall Homeowners Association. MLS#2052077. Opendoor Brokerage LLC.